The FK-14 knives are made from high quality titanium. The FK-14 sheath features a locking tab that holds the knife securely in place and releases at a touch. The FK-14 knives are made from high quality titanium. 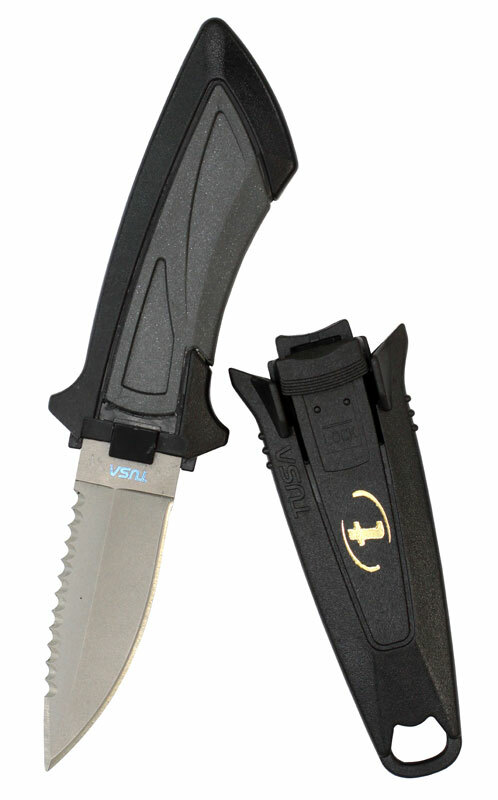 The FK-14 sheath features a locking tab that holds the knife securely in place and releases at a touch. 6-4Ti (Ti-6AI-4V) highly corrosion resistant titanium drop point blade. Sheath locking tab holds knife securely in place, then releases at a touch. 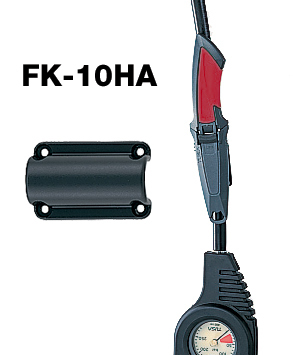 Allows you to attach your FK-10 / FK-11 / FK-14 onto the H.P. or L.P. hose for easy access. 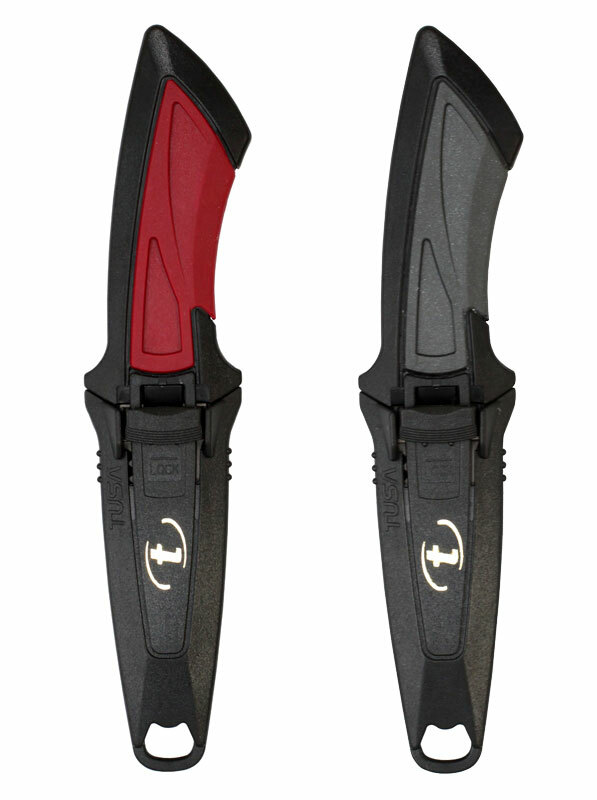 TUSA's diving knives are compact design that allow easy attachment to any BCJ. Please note by purchasing any knife, you are confirming that you are aged 18 or over.